Is the Old English Sheepdog right for you? Find your perfect match now! Huggable, huge, and puffy, the Old English Sheepdog is kind of a big deal. 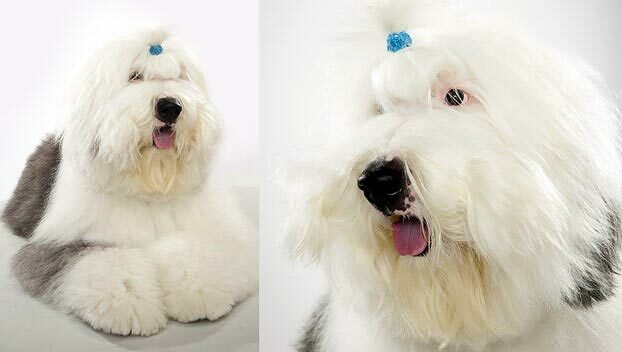 This breed was the original cinematic Shaggy Dog, and Paul McCartney's Old English Sheepdog, Martha, inspired “Fool on a Hill” and other Beatles songs. 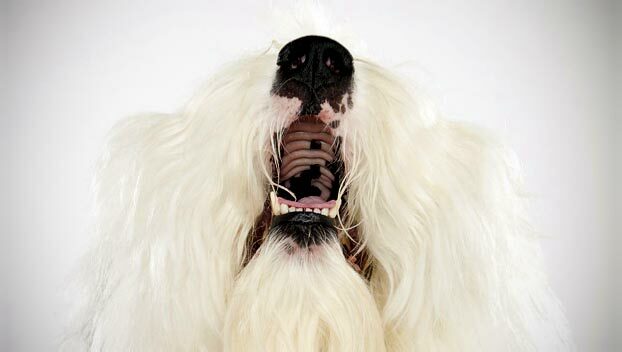 These fun-loving, eye-catching dogs are somewhat rare and are among the hairiest breeds around. Old English Sheepdogs got their start herding cattle and sheep in Western England. These days they compete for herding trophies and for their family's affection. Originally from—you guessed it—England, this large-sized breed can grow to between 60-80 pounds and lives an average of 10-12 years. The breed is recognized by the American Kennel Club and classified as a member of the Herding group. WHAT IS AN OLD ENGLISH SHEEPDOG'S PERSONALITY LIKE? These charismatic canines are highly social and highly silly. They make great family dogs. Old English Sheepdogs are devoted dogs who are especially protective toward kids. But their exuberance and large size means they'll need supervision with younger children. 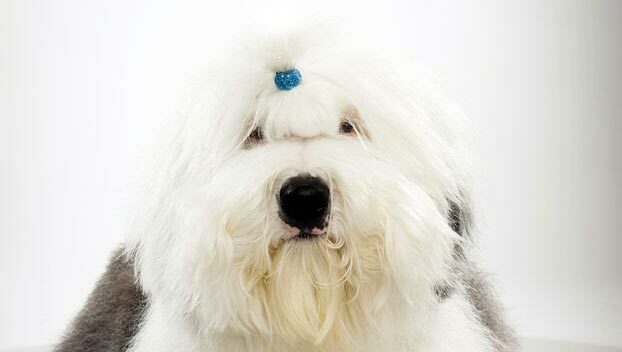 WHAT IS OLD ENGLISH SHEEPDOG BEHAVIOR LIKE? This is a very active breed. These dogs are strong, agile, and hardworking in the field. At home, plan for long daily walks or frequent extended play sessions. With enough exercise, however, the Old English Sheepdog makes a gentle and polite housemate. These dogs have a distinctive bark, which makes them better suited to suburban or rural environments in which they're less likely to annoy your neighbors. HOW EASY IS IT TO TRAIN AN OLD ENGLISH SHEEPDOG? Old English Sheepdogs are a very intelligent and very biddable breed, if you can make training worth their while. They can be a wee bit headstrong, which is not unusual in a herder. These furballs respond well to games and food rewards. Old English Sheepdogs excel in herding, obedience, agility, and conformation events. Work early and often to discourage this breed from trying to herd children or other animals. HOW MUCH DO OLD ENGLISH SHEEPDOGS SHED AND WHAT ARE THEIR GROOMING NEEDS? This breed's long outer coat is shaggy and hard, underlaid with thick, waterproof fur. The Old English Sheepdog is one of the hardest dogs to groom. Their coats are profuse and require lots of grooming. You'll need to spend hours brushing them every week, and find a way to keep their hair out of their eyes. The upside is this is a great excuse to put ridiculous bows on your dog's head or give her a punk rock haircut. They're minimal to moderate seasonal shedders. Bathe them as needed. 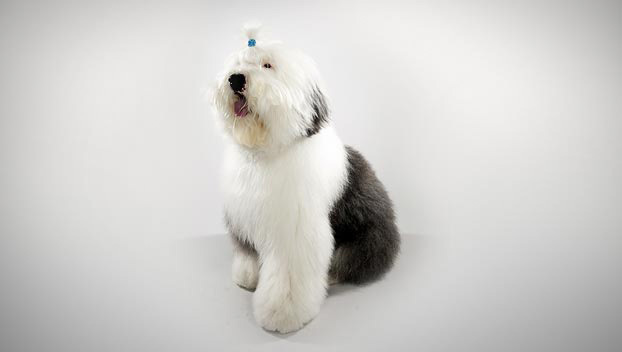 WHAT HEALTH PROBLEMS DO OLD ENGLISH SHEEPDOGS HAVE? As a breed, Old English Sheepdogs are generally healthy. Some are prone to cataracts, hip dysplasia, and cancer. Others suffer from thyroid, eye disease or blindness and they can be prone to bloat. ARE OLD ENGLISH SHEEPDOGS GOOD FOR PEOPLE WITH ALLERGIES? The American Kennel Club doesn't list Old English Sheepdogs among its breeds recommended for allergy sufferers. You can reduce your furry friend's impact on your allergies with frequent baths and brushings to reduce loose hairs and allergy-aggravating proteins in your pet's dander. Use a damp cloth to wipe off your dog after playing outside. Smaller dogs have less surface area, so they produce comparatively less dander than larger breeds — definitely something to keep in mind with a dog like an Old English Sheepdog! Remember that no breed is 100% hypoallergenic, and any breed can aggravate allergies. WHAT IS AN OLD ENGLISH SHEEPDOG'S BEST DAY? Sweet and agreeable, an Old English Sheepdog just wants to do whatever you want to do. But it would be great if what you wanted to do was run around outside a lot and play or explore. Or give them a job to do. SHOULD I ADOPT AN OLD ENGLISH SHEEPDOG? Though very adaptable, Old English Sheepdogs are better suited to homes with big, suburban or rural areas for regular romping. They're also far more comfortable in the cold than in the heat. With all that hair, can you blame them? 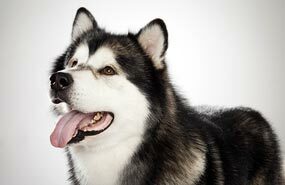 These dogs are fairly easy to train, but their coats can be hard to care for. Their sweet, silly, gentle natures might be enough to make you overlook all those trips to the groomers, though. 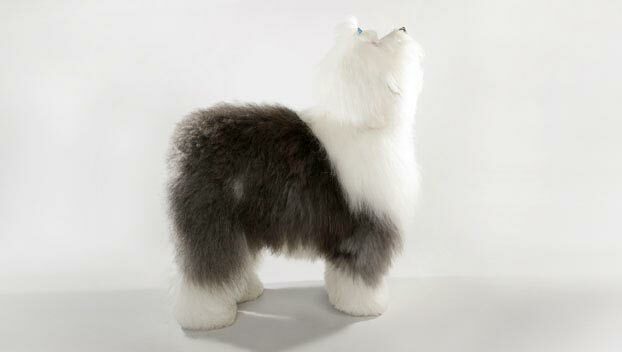 Have you decided that an Old English Sheepdog is the perfect dog for you? Why not be your new best friend's hero and adopt a rescue! Be sure to check out our article on what to expect when you're adopting a dog or cat.